Implementing innovative dentistry to make your care more comfortable and affordable. You are busy, and we get that. While it’s crucial you visit a dentist for optimal oral health, we also know it’s important it doesn’t interfere with your day-to-day routine. That’s why we’ve invested in the latest technologies and techniques to give you access to a full-service practice. Gone are the days of having to go to multiple appointments to get a crown placed. 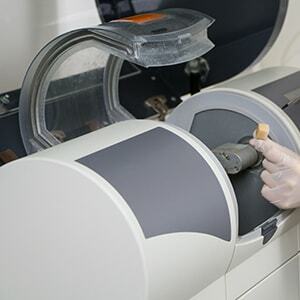 With CEREC technology, we can place your crown in as little as 90 minutes. This digital technology can craft your restorations right in front of your eyes. What does this mean for you? Are you missing teeth? At Morgan Family Dental, we can place and restore dental implants all under one roof. 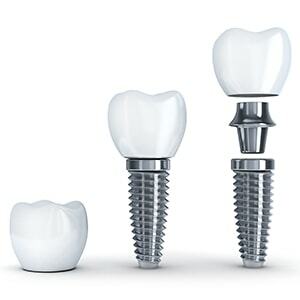 An implant consists of three parts: the post, abutment, and dental crown. First, we place the implant within the jawbone. Once healed, we’ll attach the abutment and restore the crown to create an artificial tooth that blends seamlessly with the rest of your smile. Are dental implants right for you? Schedule a consultation with Dr. Morgan. 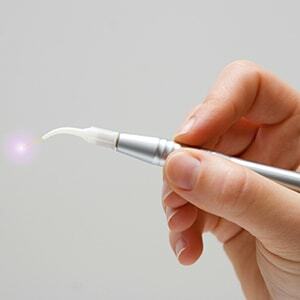 We’re proud to offer laser dentistry at our practice. This makes your dental care painless without needles and scalpels. What makes this technology unique is we can use it for infant frenectomy, which is a quick (five-minute) procedure to remove excess tissue. If your infant is tongue-tied or lip-tied, we can help with our revolutionary laser. Accidents happen. If you’re experiencing a dental emergency, call us right away and we’ll get you out of pain that same day. Are you a guest at the Great Wolf Lodge? If you get into a dental emergency while vacationing, call us. We’re just right down the road and we can repair your smile that same day. These folks are top drawer! Warm, friendly and compassionate, as well as funny and entertaining! Rooms full of kids and not one was crying...what better endorsement is there? 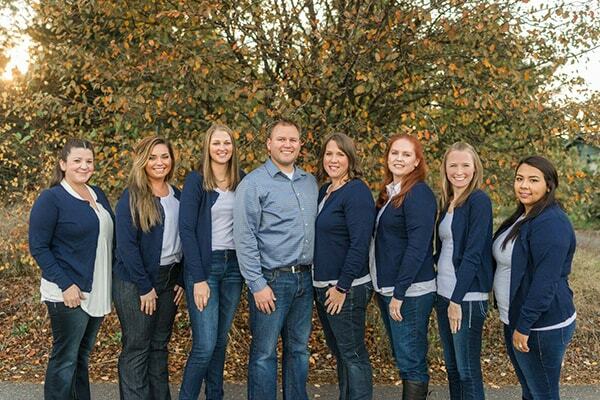 We look forward welcoming you to our dental family!